This post was inspired by (and largely based on) an excellent Opinion piece on the CNN website by L. Z. Granderson. You can find it here. In Western democracies, we’re accustomed to the idea that all people should vote, that all people should have a political voice and some measure of influence in how their federal, state, or local government is run, and in who is running those governments. And, in theory, this is a fantastic idea! But how often do we really stop to think about it? The principle of voting rights seems to be sacrosanct in America and many other Western countries, and any challenge to it is usually treated with shock or outright horror. Most people see the right to vote as a sacred, God-given right, especially here in America; and I would agree, to a certain extent. But reading the piece that I mentioned above gave me pause. True, all people have a right to participate in their political process, and people should exercise that right. But there’s a drawback and a danger to this as well. A disheartening number of people are painfully ignorant of their own political system. I don’t just mean the actual mechanisms of the system (how elections work, what Congress does, the significance of the Supreme Court), but also the policies and decisions under consideration by our government. Allow me to throw a disclaimer in here. I am by no means equating ignorance to idiocy. I’m not calling into question the intelligence of the average American, but rather the average American’s commitment to being an involved and informed voter. People may be extremely passionate their pet politicians or policies, but so much of the time, they either limit their learning to one particular issue or simply don’t bother to be informed about any of the issues they may claim to care about so much. It’s easy to denounce Obamacare, talk about creating jobs, or express deep concern about the budget deficit. But if voters are not aware of the real costs, benefits, repercussions, and payoffs of such things, how can they be qualified to vote about them? If one does not really understand the principles of Obamacare, what it takes to create more jobs, or what the magnitude of our budget deficit is, how can they vote responsibly on these issues? Think of it this way: If a person knows nothing about navigation or seamanship, would you ask them to help you sail the Atlantic? If a friend of yours doesn’t understand the first thing about chemistry and physics, would you invite him to run the LHC for a day? Note that the people in these examples are not stupid; they just haven’t been given the knowledge to do such things! So it is, I think, with voting. If people are not properly informed about the issues their country faces, how can they vote well? We spend a lot of time getting up in arms against our politicians, blaming them for our problems, and in some cases, they are at fault. But it seems that the bigger problem here lies with the people electing them. If we expect our politicians to fix our country, then we also have to be willing to do the work required to stay informed and updated about what needs to be fixed. Now, I’m not suggesting that we form some erudite council of qualified voters (though this is almost what our republican political system is) to make our decisions for us, and disqualify all others from the political process. But what I am advocating is that we as voters have greater respect for the power of voting we’ve been given. While it may be a basic human right to have a fair government that operates under the consent of the governed, we are also under an obligation to treat that right with the respect it demands. And the most important way to do that is by getting informed. So if the title of this post seems radical or provocative… it is. I’m still struggling with this question myself, but perhaps if people are not willing to do the legwork required to vote responsibly, they shouldn’t exercise that right at all. As Spiderman came to learn from his Uncle Ben, with great power comes great responsibility. (That’s the extent of my superhero comic knowledge.) I’m not discouraging anyone from voting; in fact, I wish more people would. Instead, I’m encouraging people to go beyond simple sound bite politics and find out what they’re really voting for before they pick up the pencil and cast their ballot. 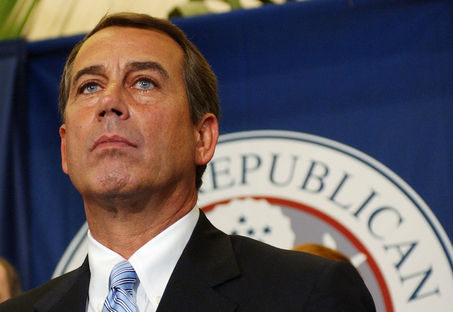 John Boehner, the new Speaker of the House, has been spearheading the cost-cutting in Washington. As most Americans are well aware of, Republicans took control of the House of Representatives last November, and a large number of GOP candidates won other positions as well, causing a weakening of the Democrat majority in the Senate and ousting a number of Democratic governors across the country. This turnover has changed the political landscape of Washington quite a bit over the past few weeks and months, but one of the key changes the new Republicans want to push through is a deep cut into Obama’s federal budget. After admitting that it had a number of possibly fatal shortcomings, the president laid the budget on the surgeon’s table for a figurative liposuction, and the new Republican representatives have been taking their job seriously. Debates have been raging across the country about the budget, and many prominent Republicans, particularly a core of new (and sometimes Tea Party-affiliated) representatives have taken it upon themselves as a sacred duty to slice large sums out of of the federal budget. In fact, the House recently voted for $60 billion in cuts, which would slice spending out of almost all parts of government, affecting domestic programs, foreign aid, and even (surprisingly) military programs. A recent and fascinating economics article in the New York Times showed how cutting the budget doesn’t even necessarily help the economy, but instead has potential to harm it. Boehner’s assertion that Obama’s addition of more federal jobs has cost the economy is not only falsely overblown (from 58,000 to 200,000 jobs added), but is fairly meaningless when one considers that state and local governments have severed 405,000 jobs recently. If you want a full picture of how austerity isn’t necessarily better than stimulus, read the article! I can’t put it as eloquently as David Leonhardt can. My real disagreements with these deep cuts into the budget are more humanitarian in nature though. Many of the cuts being made into the budget are taking away funding for important programs such as Planned Parenthood, which is at risk of losing all funding, and a number of humanitarian community action agencies are losing funding too. To me, it seems obvious that the newly elected Republicans aren’t just trying to cut spending (in Washington and elsewhere), they’re actively seeking to advance their own political ideals under the guise of budget cutting. I see similar things happening in Wisconsin, Ohio, and Indiana, where newly elected Republican lawmakers are cutting into union rights while waving the banner of saving the states from a budget crisis. While it may save the government some money to cut funding to organizations like Planned Parenthood, one can hardly say that the funding to this group and money given to community agencies across the country are colossal sums. So many lawmakers have become either misguided or over-political (big surprise there) in their choices of cuts. Instead of focusing more on areas where spending has become truly excessive and bloated (cough, defense, cough), most Republicans have chosen to hack away at social programs and programs intended to support those in greatest need. To add insult to injury, those in the top brackets of wealth in America are still getting breaks on their taxes. Why is this happening? Here’s my theory: Besides cutting the budget down to size, a goal Republicans set ages ago, GOP lawmakers have jumped on an opportunity to advance their own partisan goals. By hacking away the funding for groups like Planned Parenthood or the community programs I mentioned (not to mention other programs in need), Republicans have leveled their cannons against programs that they, and more importantly, their constituents and monetary contributors, object to. This is more than an attempt to save money, it’s an effort to use this crisis as a way to advance the GOP cause and to secure the monetary and voter support that politicians so desperately crave, regardless of the toll it exacts on the human beings behind the numbers. 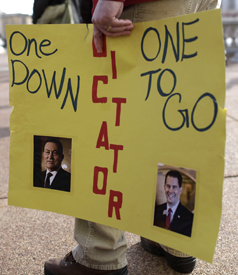 A protestor's sign in Madison, comparing Governor Walker to ex-president of Egypt Hosni Mubarak. Typically, when someone says the word “Wisconsin,” I don’t think of protests, civil unrest, and accusations of a governor’s similarity to Hosni Mubarak. But over the last few days, the state’s public workers have reacted strongly to Republican governor Scott Walker’s recent plans to require them to pay more for health insurance and pensions, effectively slicing away a substantial amount of worker income. More surprising are the governor’s hopes to severely castrate (unpleasant yet appropriate imagery) the bargaining rights of these union workers. The governor has made the claim that such cutbacks are necessary in these tough economic times, and he and supporters have said that so-called excessive benefits and pay for public employees have contributed to the dire economic straits that many parts of the US find themselves in. Now, it’s understandable that Walker would want to cut back on certain benefits and bonuses for state workers, and in fact, prominent union leaders have agreed to this cut in pay (which works out to around a 7% drop in income). But my real concern with Walker’s action isn’t about the financial side of things so much as the union rights aspect. While I can sympathize with a desire for cutbacks in spending in the public sector, I really fail to see what economic benefits the Republican bloc of Wisconsin hopes to find in the restriction of collective bargaining among unions. Generally, I don’t have a fantastically high view of unions, to be perfectly honest. While I’m typically a very liberal thinker (and voter), I often find myself taking a more Republican view toward unions. Now, don’t get me wrong, I think it’s great to have increased protection and fairness toward workers, particularly those in the lower or middle working classes, to prevent abuse from higher-ups. In this sense, I love unions. In another sense though, unions have the potential to elevate certain professions higher than they should be, and guarantee protections and privileges to only a few. In this sense, I agree with supporters of the governor’s action (or at least their sentiment). 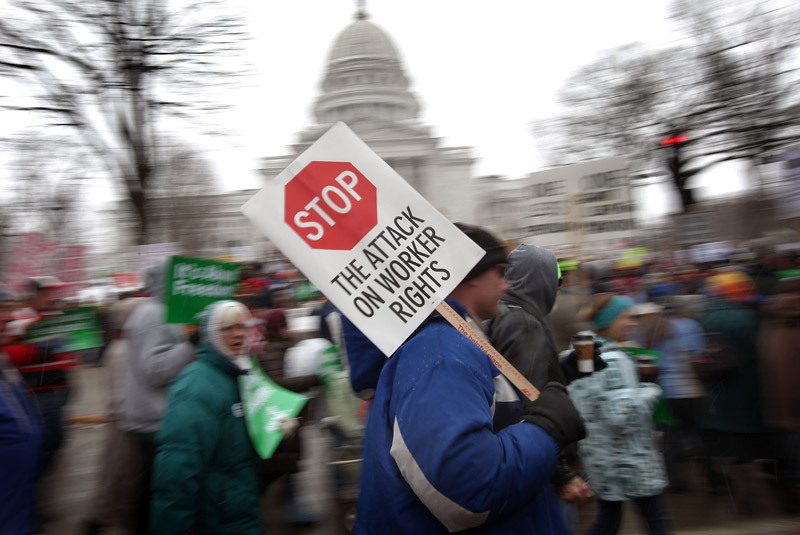 In a recent New York Times article, a number of Wisconsinites have expressed their frustrations over the seeming extra protections that such unions provide to state workers. Many workers for private companies, especially in the industrial sector, feel that people such as public school teachers, policemen, nurses, or firefighters shouldn’t get such excessive benefits and bargaining rights when those working in the private sector don’t have those same bonuses. And so it goes. I definitely wouldn’t say that these protests will have similar results to those in Cairo, as some seem to be hoping for. But they do raise an interesting and important question of the modern roles and rights of unions, and whether public workers do have this inherent right to collective bargaining. Either way, I think it’s fair to say that this right isn’t what needs to be taken into consideration right now. Walker and other Republicans are trying to turn a budget cut into an outright attack on union rights and union workers, using the excuse of a federal budget as a justification to hack into union power. I fail to see how collective bargaining is going to have a negative impact on Scott Walker’s budget, and it’s time he abandoned the argument that taking this right away will help his state’s economy. How many more of these do we really need? A good (if vague) principle to use to combat this, in my opinion, is to start treating the Department of Defense as just that, defensive. America seems to be constantly gearing up for total war, and it’s costing us a shitload of money to do so. Our country has always been a subtly imperial one, worming our military tentacles in wherever possible. In a way, America is a very imperialistic country, but in a subtle, subversive kind of way. There are more than 700 United States military bases across the globe (and 6,000 on US and territory soil), forming a spider’s web of armed power. (My figures are from here) While American imperialism is far from obvious (or perhaps even totally intentional), the simple fact is that American military presence is firmly established almost everywhere in the world. This “passive imperialism” (I think I came up with that myself!) further strengthens my argument that America hardly needs to invest in even more military power, at least for now. In fact, we may benefit from pulling up roots in some more secure areas. After all, as George Bush so deftly showed with Iraq, the United States has mastered rushing into volatile and delicate situations with little reserve. Back to my defensive Department of Defense idea. As the name implies, the DoD’s primary purpose is, well, defense. According to their website, defense.gov, “The mission of the Department of Defense is to provide the military forces needed to deter war and to protect the security of our country.” Notice that its stated purpose is to deter war, not engage in it. The proper use of a standing army is as a defensive measure, a way to keep America and its people from being devastated by war. 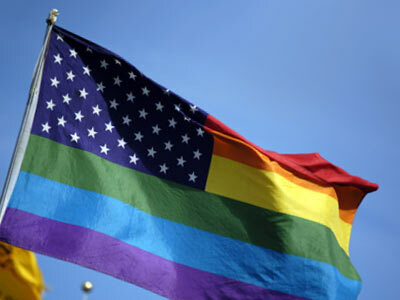 It is not meant to be used as the arm of American ideology, in the Middle East or elsewhere. The simple fact is that no country, not even America, can pour so much money into defense without expecting serious drawbacks. If we want our country to excel in the coming years, then it’s imperative that military spending is drastically reduced, and fast. Here’s how much we’re paying. The United States is well-known as the strongest military power in the world, and with good reason. Few would claim that America is lacking in military might, and those few would pretty stupid. America has long been the predominant military power in the modern world, and this trend is likely to continue for quite a while. Simply put, America’s armed forces are more than a few cuts above the rest. But just how far ahead do we need to be? America’s military dominance comes with a substantial price tag. At the time of this post’s writing, America’s defense budget was 739.2 billion dollars. For comparison, China’s budget for 2010 was 78.6 billion dollars – which is almost the exact sum Robert Gates is proposing we cut from our own defense budget. Got that? The amount we’re hoping to cut from our military spending is the same as China’s entire military spending. Notice from the graph that China is the second largest spender in the world, next to us, and they still pale in comparison. And it’s not as if America will be put at critical risk if spending were to be cut. America has (for the most part) gotten its money’s worth from its colossal military spending. We’re the world leaders in more or less every kind of weaponry, with eleven times as many aircraft carriers as China, nine times as many nuclear submarines, and a Marine corps twenty times the size of theirs (figures all taken from GlobalSecurity.org). So it seems fairly obvious that we have little to worry about from China, which I’ll remind you is the second largest military spender after us. We’re winning by a huge margin, so to speak. So, you’ve probably been wondering what the title’s all about. How can a country possibly be over-defended? Well here’s the thing. As I hope most, if not all, of my readers know, the country is facing a pretty titanic budget deficit at the moment. And at the very same time, our country has fallen behind in such crucial areas as education, in no small part because of the lack of money that can be dedicated to it. In 2006, “National Defense” accounted for 57% of our budget, while “Education, training, employment, and social services” got only 8%. There’s a reason Chinese students are destroying American students in areas like math and science, and that reason is that America is pouring over half of its budget into weaponry. So what needs to happen? We can’t just stop making weapons and vehicles, or stop sending bullets to troops, after all. But there are smart ways to cut back in the areas in which we already excel. Take aircraft carriers for example. As I mentioned earlier, America faces little competition from China in this area, and this trend is common throughout the world. 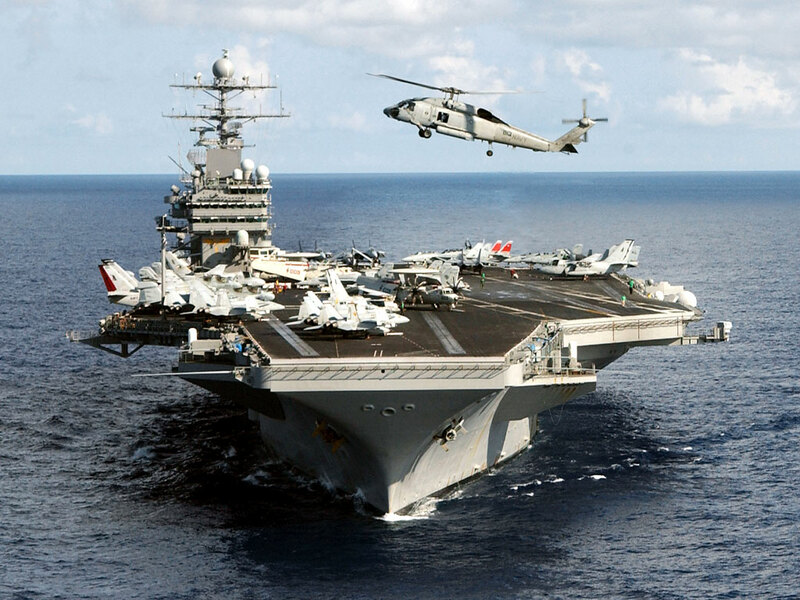 Of the 15 other countries that use or have used aircraft carriers, none has more than 2 carriers in service. By comparison, America has 11. The last aircraft carrier produced by the US, the USS George H. W. Bush, cost 6.2 billion dollars to crank out, and the next one slated for production, the USS Gerald R. Ford will cost around 7.8 billion. Do we really need to be pouring this colossal amount of money into more ships, when we already have more than five times as many of these as the next countries up from us? I could rattle off more examples, but I don’t want to waste too much of your time! This post is already quite long, so I’m going to break it into two parts. Come back in just a bit for part two!